New Order are set to be the subject of a lengthy new documentary for Sky Arts. The announcement comes almost exactly 40 years after Joy Division made their first television appearance, and finds the band interacting with their history in a curious way. Last year New Order worked alongside artist Liam Gillick and a 12-piece synthesiser orchestra for the acclaimed collaboration So It Goes.. during Manchester International Festival 2017. Forced to de-construct their own history, the performance is used as a jumping off point for Mike Christie's new documentary New Order: Decades. Featuring interviews with the band members and associates such as designer Peter Saville, the feature length film contains a multitude of live performances. 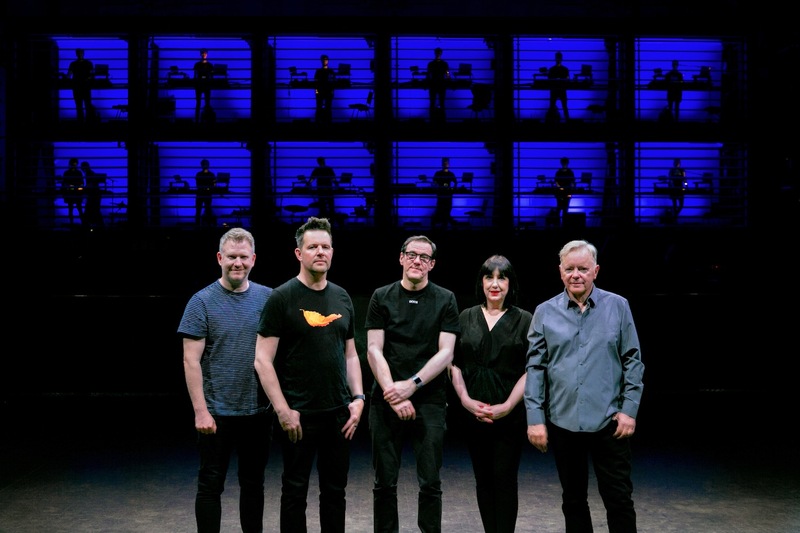 New Order: Decades will be broadcast on September 22nd on Sky Arts.